Rockstar Energy Husqvarna Factory Racing’s Alfredo Gomez will likely be out of action for the final two rounds of the 2018 FIM SuperEnduro World Championship due to a knee injury sustained while training in Spain. The Spaniard fell on Tuesday afternoon while training alongside his Rockstar Energy Husqvarna Factory Racing teammate Colton Haaker. Immediately taken to hospital, it was confirmed that Alfredo suffered a fractured fibula on his right knee as well as ligament damage. Awaiting further medical assessment, Alfredo is expected to undergo surgery in the coming days. Enjoying a steady start to his 2018 SuperEnduro World Championship campaign, Alfredo is currently sixth in the Prestige class’ provisional championship standings. 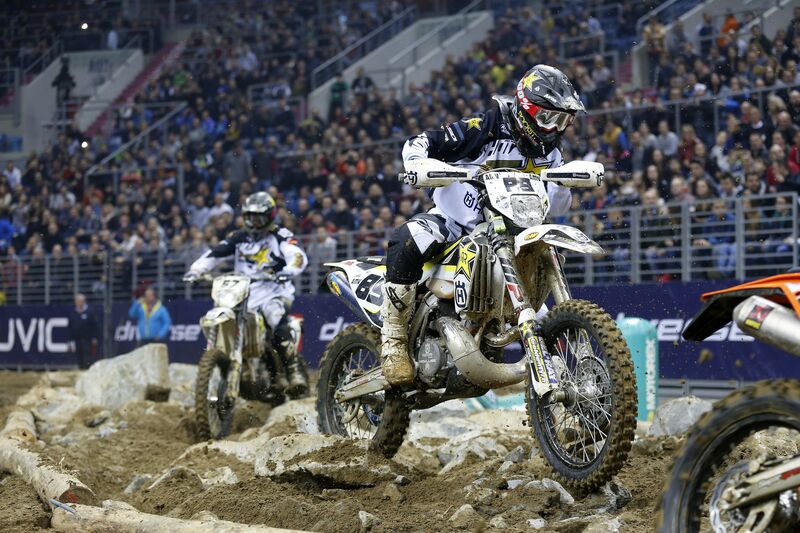 Wrapping up his home GP in Malaga last Saturday with a strong runner-up result in the third and final heat, the Rockstar Energy Husqvarna Factory Racing star was looking to continue building on his speed in the last two rounds of the series in Bilbao and Sweden. While the exact length of Alfredo’s recovery is not yet known, the 2017 Erzberg winner is expected to be away from competition for a considerable amount of time. Husqvarna Motorcycles and the Rockstar Energy Husqvarna Factory Racing team wish Alfredo all the best for a speedy recovery.